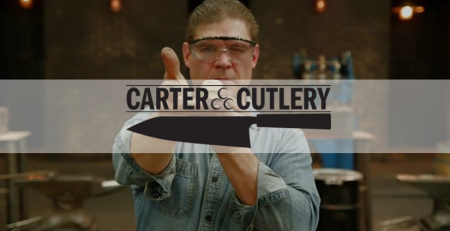 We decided to interview Scott because we love the idea of supporting and promoting knife makers of all sizes in the United States of America. 1. Hello Scott. Can you tell me something more about USA Made Blade? How did you start and where the great idea about supporting knife makers from the United States of America came from? USA Made Blade got started because of one single knife. Years ago I got to see a prototype of a knife and knew it would be something I really wanted. The first place to put them up for pre order, I ordered one, and sat back and waited a very long time for the knife to finally come in. Based on the name and maker of the knife, I had no doubt it would be made in the USA. It was not! Ticked off seeing such a great knife, by a great American maker/designer being made in China, I decided it was time to get involved. That is how USA Made Blade came to be. 2. What is your experience and how did you learn about knives? Like so many others I fell in love with knives at a very young age thanks to both of my Grandfathers. They both taught me how to use a knife, care for a knife and how to sharpen a knife. I was hooked as a kid and never looked back. 3. What does a knife mean to you? To me a knife is a tool that is in my pocket every day. It is the first thing I put in my pocket when I get dressed in the morning and the last thing I take out of my pocket before going to bed. 4. 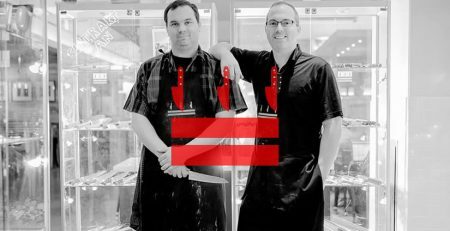 What are the criteria for any knife makers to sell their knives in your shop? Quality, functional design and a willingness to help promote the product you are making! It also has to be made in the USA! 5. Is there any knife maker, which you significantly helped to be successful? Not a one. I think we have helped some become more popular, but can not take credit for their success as they work hard and make great products. Success was going to find them with or without us! 6. Currently, what is your biggest business challenge? Knowing what knives are going to be popular next. 7. Is there anything you would like to change about the industry? The obvious answer is more production knives made in the USA. I also want to see more knife buyers, users and collectors become more supportive of American Made Knives. I agree some good knives are being made in other Countries, but look around. For not much more money you can typically get a better quality knife made right here in the US. Support them! 8. What are the most important aspects and what to look for before anyone decides to buy a knife? Thank you for your time Scott and we would like to wish you good luck with your business! Great interview. 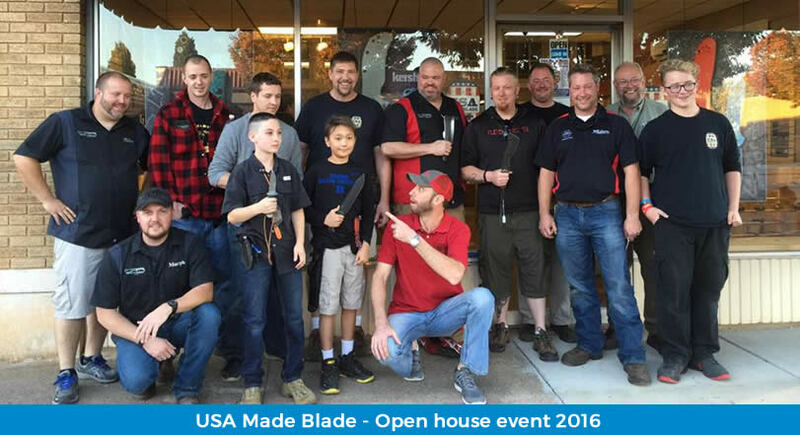 USA Made Blade really looks like a company worth supporting. I have been a knife fan since I was a little boy fishing with my Father and Uncle. My Uncle collected knives and got me going with my very first one. Being in the BBQ industry, I would love to know if they also sell steak and meat carving knives. I am due for an upgrade and could would love to purchase a high quality knife made here in the USA.